Sign-up now and get a 15% discount code! Get quality news from Nordic Culture, Great offers and discounts and be the first to discover our new arrivals right in your inbox. Ib Spang Olsen has mostly found his way into people hearts through his imaginative illustrations, but his drawing did not always just stay on paper. Sometimes Spang Olsen would carve images into pottery that had not yet been hardened and later on he would become even more involved in the ceramic process. A lot of his pottery work was made for a Danish ceramic factory called Nymølle where he worked with other artists, such as the internationally renowned painter and ceramist Bjørn Wiinblad. 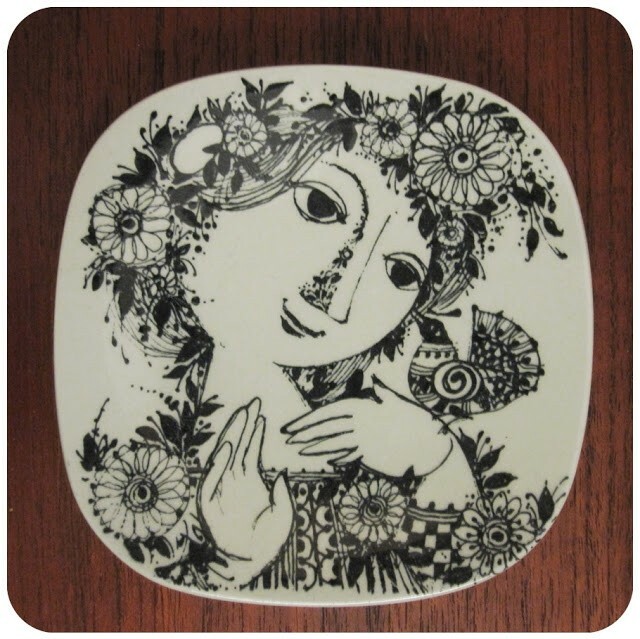 The plate with the young woman was made by Spang Olsen for the ceramics factory Nymølle in Denmark 1954-1955. The motif is called Light in the Front & the Darkness Behind. To get to know more items by Ib Spang Olsen, have a look here. You might also want to visit the Ib Spang Olsen Gallery. 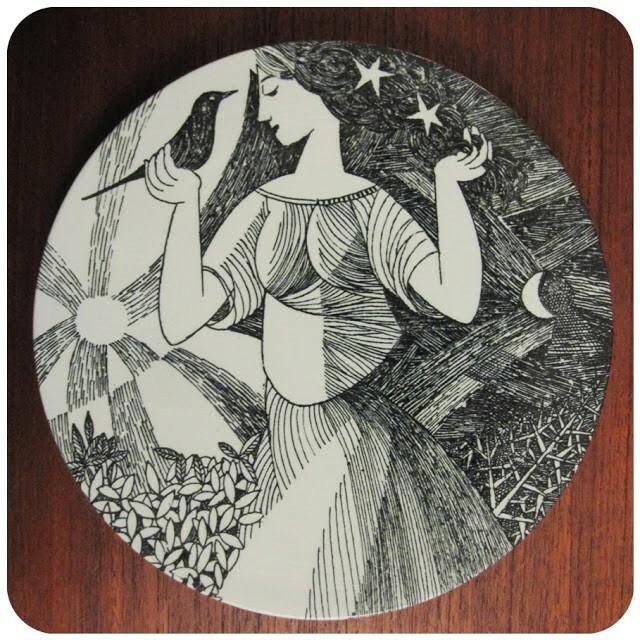 Plate made by colleague Bjørn Wiinblad. Top image is made by Ib Spang Olsen.